In 2005 the Uncrowned Queens Institute for Research and Education on Women, Inc. is commencing a yearlong observance of the centennial of the Niagara Movement, the cornerstone of the modern civil rights movement in America. 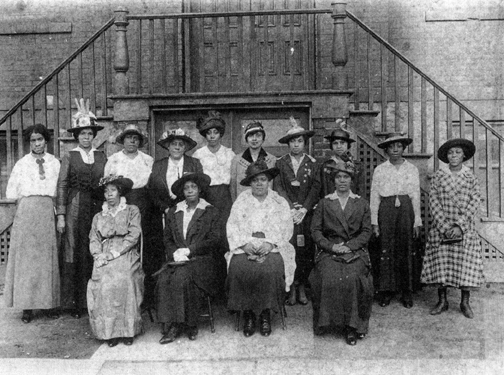 The meeting, in 1905, that launched the Niagara Movement has significant historical importance for the nation, Western New York, and for the African American population of the region, specifically. Its founders, led by W.E.B. DuBois, held their first meeting in Buffalo at the home of Mary B. and William H. Talbert. Subsequent meetings were held at the Erie Beach Hotel in Fort Erie, Ontario. However, the importance of the contributions of Buffalo's Black community in the Niagara Movement, and the succeeding organization, the National Association for the Advancement of Colored People, is rarely depicted as a continuous historical movement toward the civil rights of African Americans. Closing this historical gap is especially significant during this centennial year. Thus, the Niagara Movement Centennial celebration presents a rare opportunity to examine the pivotal role that the Buffalo's African American community played in the early civil rights struggle. It provides an occasion, as well, to reflect upon our individual and collective responsibility in ensuring that the principles and ideals set forth by DuBois, the Talberts, and others receives the attention it deserves. Throughout this year, the Uncrowned Queens Institute will organize exhibits, programs and presentations to celebrate and commemorate the Movement and its founders and to educate the community on the lessons of the Niagara Movement. The Institute will collaborate with other organizations to support and promote other diverse activities during this commemorative year. Bi-national activities with celebrants in Canada and the rest of the country will take place. In concert with our mission, we will continue to expand a signature feature of our program, our web-based "techno-pedia" of Western New York community builders. We invite submissions, from individuals throughout the Western New York Region, of African American women's biographies.